China is set to complete installation work on its 500-meter Aperture Spherical Telescope, known as FAST, the largest such radio telescope in the world. With a dish the size of 30 football grounds, FAST is made up of more than 4,000 individual panels. Scientists have described it as a super-sensitive "ear", capable of detecting very weak signals from space. 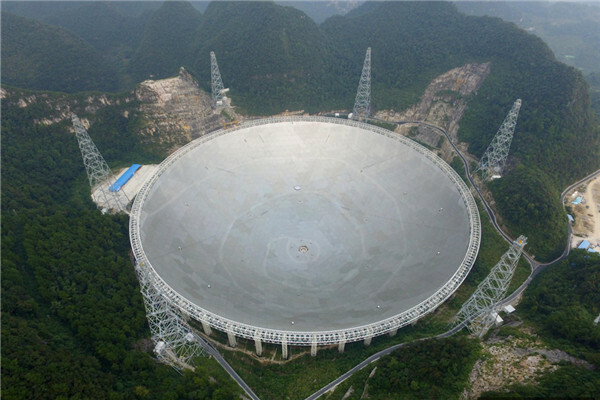 Construction of the radio telescope began in March 2011 at a cost of 1 point 2 billion yuan. The telescope will be the world's largest, overtaking Puerto Rico's 300-meter Arecibo Observatory. 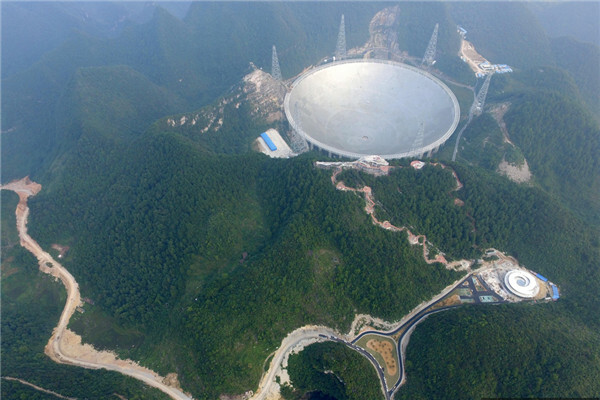 FAST is China's 500-meter Aperture Spherical radio Telescope. It's also the most sensitive single dish radio telescope, enabling astronomers to get a jump-start on many projects. From surveying the neutral hydrogen in the Milky Way and other galaxies, to detecting faint pulsars. From looking for the first shining stars, to hearing the possible signals from life on other planets. Innovative engineering concept and design make it possible in the most effective way. The dish is just part of a square-kilometer array. "When it starts to function, you can imagine that there is a 300-meter bowl rotating in a 500-meter pan. The telescope is able to be accustomed to the single rotation of the earth, and can detect accurately and sensitively," said Li Di, deputy chief engineer, FAST Project. With installation complete, excitement is building to turn on the giant eye. "The telescope can access the observed target now, and it is able to collect the data for the experts to make further analysis. 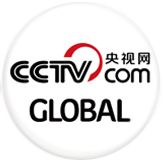 But we will still do some debugging and testing operations to perfect its function," said Sun Caihong, deputy chief technologist, FAST Project. With its high accuracy, flexibility, and sensitivity. Experts say FAST has the potential to search for remote objects to better understand the origin of the universe, and boost the global hunt for extraterrestrial life. Space exploration, without leaving Earth.